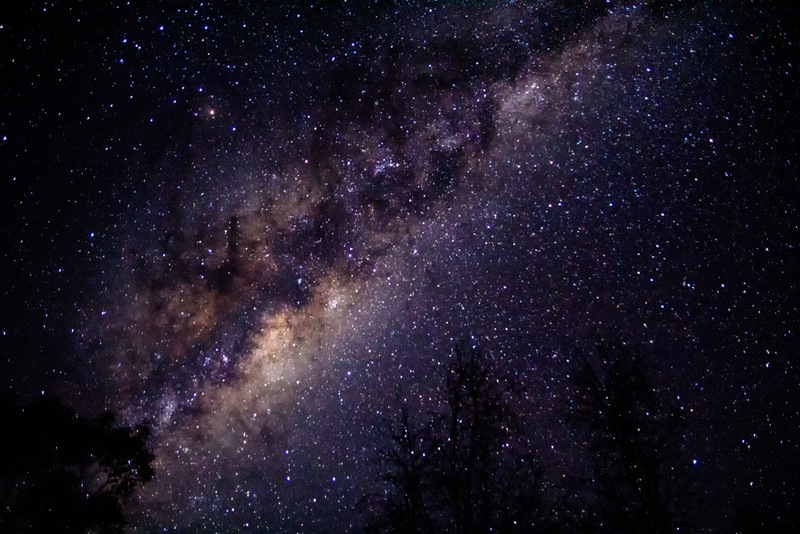 There are three basic forms of stellar images: deep space images (Image 1), wide field star panoramas (Image 2), and planetary/moon images (Image 3). Each of these requires different approaches to taking the shot and digital development. Be warned, if you proceed, you are stepping into an area of controversy which has raged ever since colour shots were taken of the sky. It is clear that their is a lot of colour in the sky, but much we cannot see without magnification or other tools. So, inevitably, this is an area of subjective opinion and different approaches. You should be able to get some nice panoramas (Image 2) with most modern cameras. You will need a lens with f / 3.0 or less. The basic idea is to catch as much light as sharply as you can. 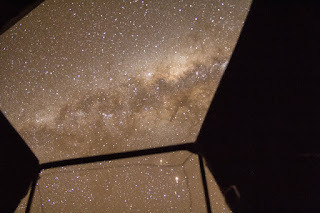 Go somewhere where you can see a couple of stars in the sky, after nautical sunset for your area or before dawn (go outside, let your eyes adjust for a couple of minutes, and hopefully you will have trouble seeing something close like an arm). Try for a dark night, with as few city lights as possible. A bright moon or moon-lit/city lit clouds or a nearby street lamp in the sky are unwelcome light sources. Sea mist, any excessive humidity, light cloud, dust, or ash can be secondary problems. 1. Select manual mode for both the camera and the lens. 'Unzoom' the lens. Select RAW output format rather than JPEG if possible. 2. Set lens focus a smidge before infinity. A distant light source is a good way of getting the focus. If you get a chance, before nightfall, practice focussing on the most distant object you can and take note of the focus setting. 3. Make your camera sensitive to light by choosing a high ISO (3200 or higher) to start with. You may have been warned about using high ISO (back in the days of real film even 400 ISO product gave you horrible grainy pictures). Forget the warnings for a moment. At high ISO there will be some grain, possibly some bright artefacts (hot spots) but, more importantly, you will catch lots of light. 4. Set the shutter speed to 20-30 seconds. Set the aperture wide open (ie, your lowest aperture or f number). 5. 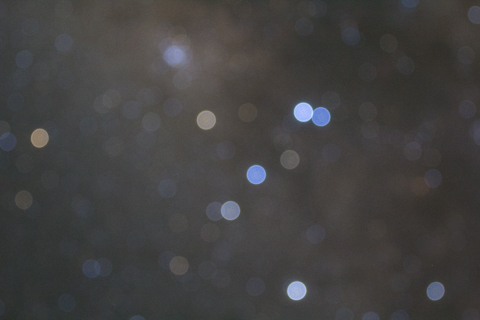 Put your camera on a tripod or resting against stuff so it will not move, and set 2 sec timer to minimise blur and point at bright stuff in the sky. If your sky has any light pollution the picture may come out all white or blue with a smattering of stars. Reducing ISO at this point, one step at a time, may help to reduce some of the background colour. If not, use the opportunity to practice getting sharp pinpricks of light for any stars you can see (focussing can be a hairbreadth exercise) and next time try for a darker location/night. If your sky is really dark, you will see stars (at this stage the background might also be light). 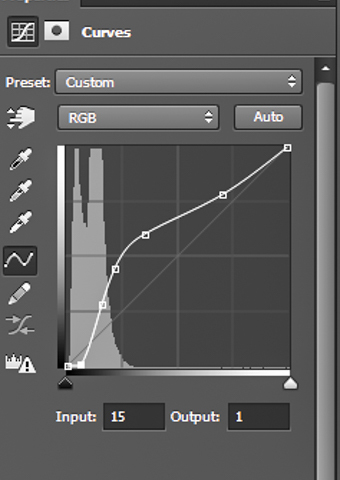 If you are shooting in RAW, the picture may seem washed out, perhaps something like Image 7). Check the stars in a close up view. Look for obvious signs of vibration, shake and focus and try to get shots which result in sharp pin points of light. Even the act of pressing the shutter or being exposed to gusts of wind will result in unwanted movement and blurring. If there is moisture or the possibility of condensation or freezing, keep a close eye on your lens surface. 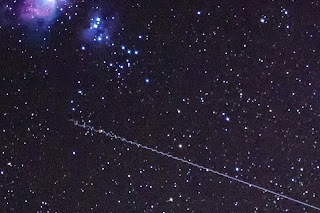 Image 4: The satellite trail in this picture shows slight camera shake at the start of the shot. This shake will have contributed to lack of a sharp outcome with all the objects in the picture. Image 5: Here the image shows signs of camera movement during the shot, which resolved before the jet trail crossed the image. Image 5a: Here moisture on the lens has frozen during the shot, creating saucer shaped stars in a band on the right hand side of the picture. 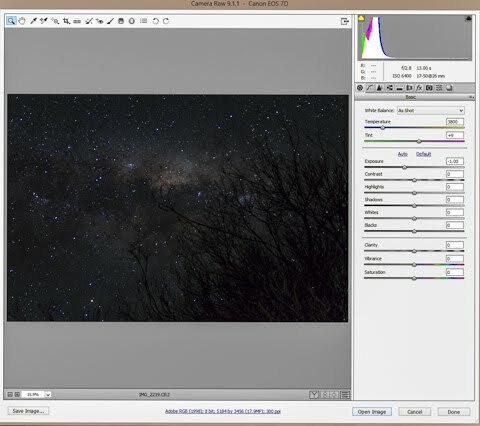 If you are getting plenty of stars and they are appearing as points, you can start to refine your shots. Experiment by reducing ISO, a little at a time until your get lots of stars in the frame and the background is looking dark. 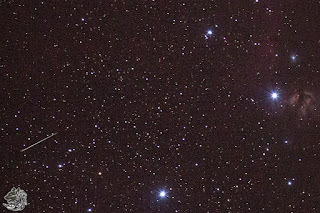 Image 5c: As image 5B at ISO 1600 but over a slightly longer period: RAW with no processing. Note the dramatic fall of of light, and the emergence of different graduations of 'browns' in the dust clouds and 'blacks' in the dust lanes. 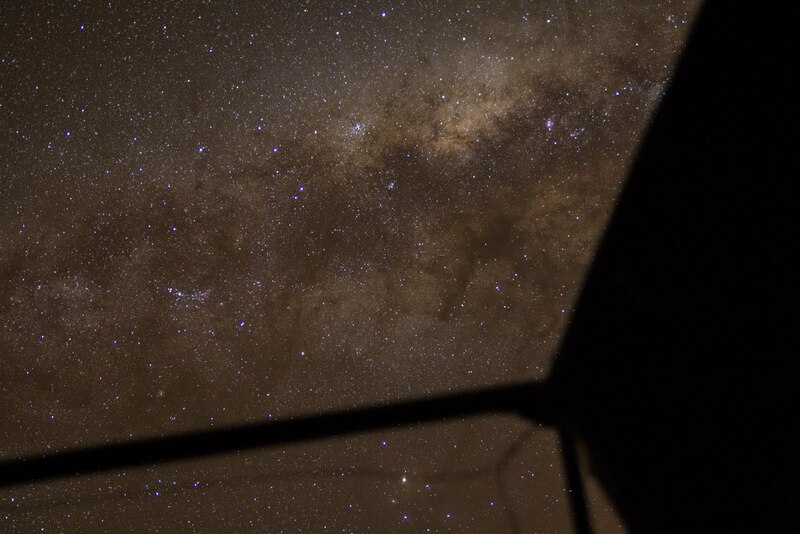 This shot is similar to a very short exposure (say 10 seconds) at ISO 6400, but has far less noise. Reducing ISO will reduce the amount of background noise and background light. It will also reduce the number of stars and you may start to loose other sky features (nebulosity, dust clouds etc) as well. If all is going well, at this stage you might want to play with aperture. Reducing the size of the camera opening from completely open (low f) to almost shut (high f) will do three things. 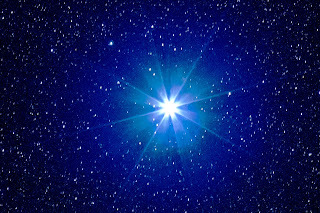 It obviously reduces the amount of light you are getting (and the number of stars), but it also assists with focus and, with very bright stars, will start to give you pointy stars (see image 6). However, you may find that the shot becomes too dark too quickly for you to get any benefit from this. Image 6: Adjusting f may create 'points' in the image of bright stars. Once you start to get images, experiment. Every night will be a little different. 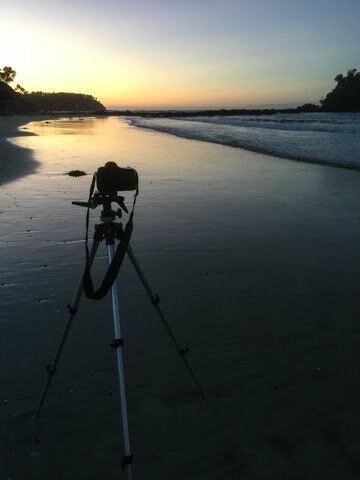 When i am shooting, my first couple of shots are to confirm focus (short exposures with high ISO to speed the process). The next couple are to balance off detail and light. 2. You may get a red or blue cast on your photos (see White Balance, below). 3. Good focus is hard to get. 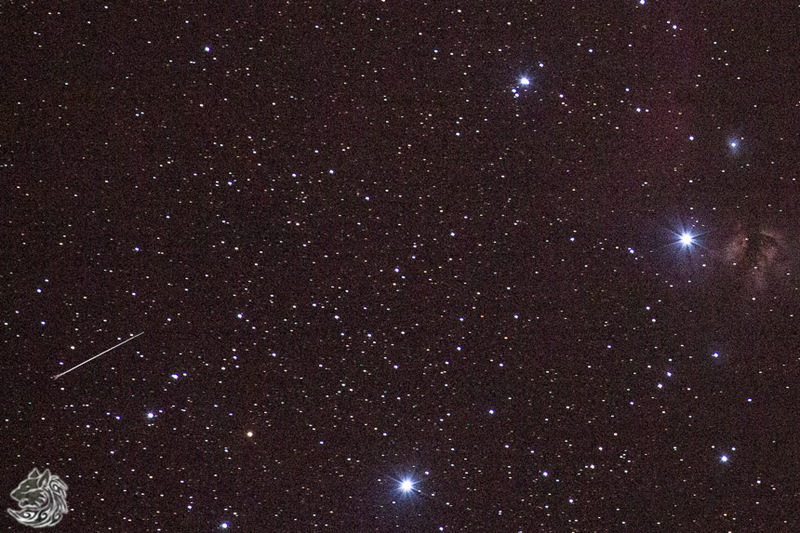 With your aperture wide open, your stars will be nice and round, and perhaps soft. Round and soft can be a sign of being slightly out of focus (Image 6a is very out of focus, Image 5b slightly out of focus). You can change aperture slightly (remembering that this will make your picture darker) to sharpen the focus. 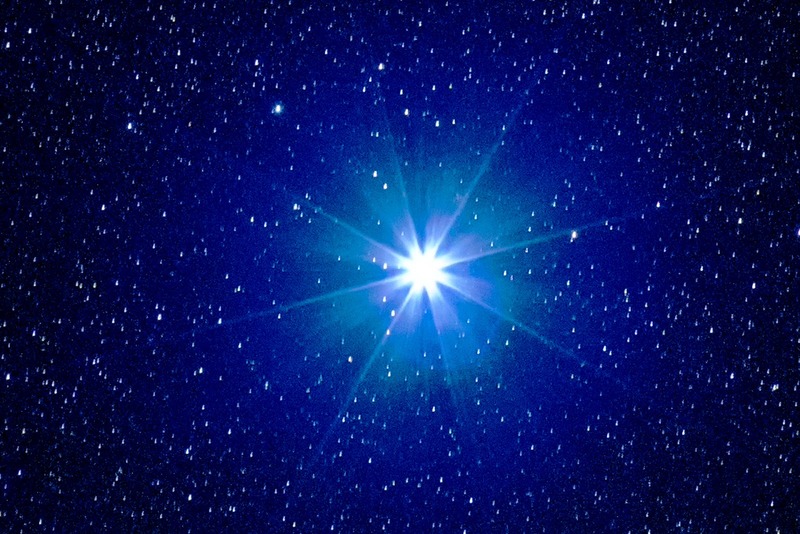 The smaller the aperture, the greater the likelihood of getting a bright star. 4. Perhaps try getting silhouettes from dark objects (trees/buildings) in front of the panorama for more dramatic effect and some indication of scale (see image 5b). If your sky has light pollution, and you had to reduce ISO above to get stars, experiment rebalancing your ISO and aperture. Rule of thumb, once you start to get lots of stars in your picture, increase ISO by one stop and reduce aperture size (ie, increase the f stop) by one stop. Again, if your skies are still flooded with blue, you may have to go somewhere darker. Sometimes, it just will not work out. Even pulling out all post production stops will not help. Get some shots you can practice with anyway. The things that made your night shots muddy, might give you some nice dawn or sunset shots. 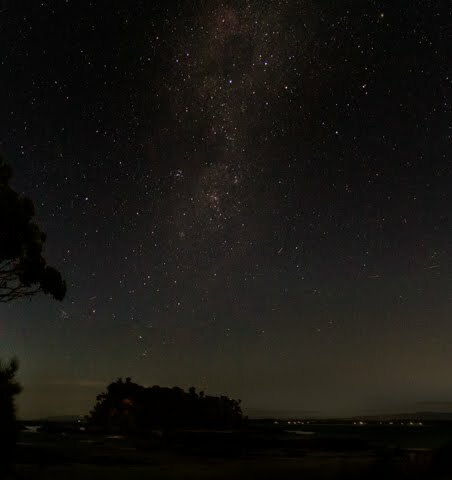 Early dawn over Barlings Beach: This shot is muddy, despite post processing there is not enough colour separation in the image (perhaps humidity) to draw out the Milky Way detail. Stars are not everything. Enjoy the day and come back another time. To take deep space images, you need two different types of equipment. Something to hold the camera steady against vibration and something to rotate the camera in synch with the stars. This can be fairly hard to achieve. I discuss my attempts to meet these requirements here. Image 1 is derived from 16 photos taken a couple of nights ago, and processed (stacked and merged) using software called DeepSkyStacker. The program is freeware and straightforward. Although the software itself does not give any assistance as to options, there are a couple of useful tutorials available. One of the original frames for the composite image is at Image 7. Part of that data has been carried forward to Image 1. General moon shots are generally best attempted at relatively high speed, using ordinary daylight settings. 400mm+ zoom shots require careful balancing of speed with focus/ISO. 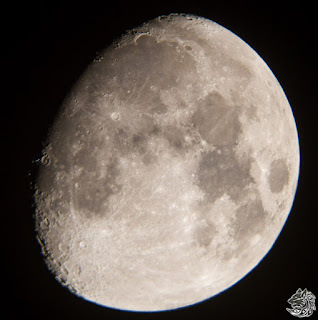 Depending on your lens, you may hit a different barrier as you increase zoom, in that atmospheric distortion will start to impact on surface features. This issue can be addressed by taking multiple shots and using planetary software to align and stack the photos, averaging out surface details. Some surface detail can be had of Jupiter, Mars and Saturn using the align/stacking methodology. Today, capturing short bursts of zoomed video, and then converting the video to frames can speed this process. Software (eg, Photoshop) gives you simple tools for importing video as frames and allows you to then align the images. Do not expect to get high resolution moon or planetary pictures with a camera, unless you have access to a guided telescope. Image 7 was taken at a manually set temperature 4900K. When i started to take shots of the Flame Nebula, (the 'orange' cloud to the left of the star), at ordinary temperature, the early shots had a significant red cast. 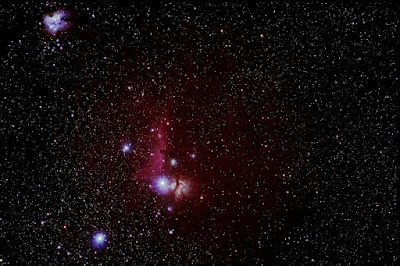 In the process of combining this with the other 15 individual images to make Image 1, the reddish tones of the individual images of the Flame Nebula have become toned down while those around the Horsehead nebula have deepened to a purple-red. In this final picture the Flame Nebula is clearly different from other red objects in the field. There are lots of reasons for primary color casts in the sky. They can result from any bright light source near the horizon. Even in dark skies, local conditions continue to contribute to the problem, with particulate matter scattering light at the hot end of the light spectrum. My local problem is a red cast in sky pictures. At my location, near the Australian alps, this may include dust, pollen, fire ash or high cloud. While a long way from the inland deserts, my prevailing winds are westerly. In summer, the high wind carries dust as well as water vapor. In winter this drops off but i get warm smoke particle drifts instead. In both seasons, the westerly wind carries dust from dirt roads. A red cast can also be caused by internal camera heat (and ambient temperatures which can also gradually increase the granularity in shots) sometimes requiring the camera to be turned off for 5-10 minutes after 5-10 shots. 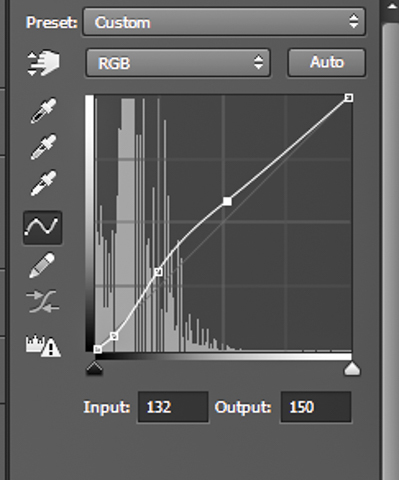 One simple but controversial solution is to manually set the White Balance at the time the shot is taken. If you do not, the camera may guess the white balance (tricky when it is pointed at a dark sky), and it will generally choose a fairly high daylight temperature (the sort of setting that will make whites look white in daylight). Trouble is that at night this setting in my situation gives the white a reddish hue. The solution is to manually reduce the colour temperature until the whites look white. This can take a lot of processing time. Instead, i sometimes deliberately shoot at 4800K as an average after a bit of trial and error. In some heavily light polluted areas, other recommend using 4500K, and some go as low as 3800K. These lower temperatures, for me, give my pictures a bluish cast. Summing up, adjusting the white balance is a simple pre-production technique that after a little trial and error may give you good whites by reducing some of the red casts. It is best for those starting out although it probably reduces some of the detail. Another downside is that i sometimes forget to use it, or sometimes forget to switch it off (which will give daylight pictures a garish blue cast). There are a couple of good walk throughs on the web. I have found Roger Clark's walk through most informative and once you start getting decent shots I encourage you to go to his site, because his explanations are well reasoned and beautifully illustrated. Start by looking at your picture in Photoshop or Lightroom. Remember, this is not real. It is simply a representation of the data created by some very clever algorithms. It is not what you or your camera saw. If the star backgrounds are already dark, you may want to skip the first step. First, open your file in your RAW editor. 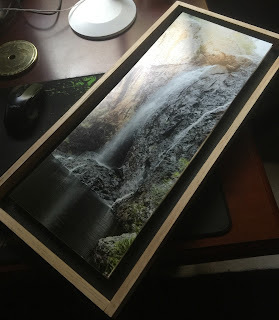 I use Lightroom CC to manage my collection and Photoshop CC to edit them. 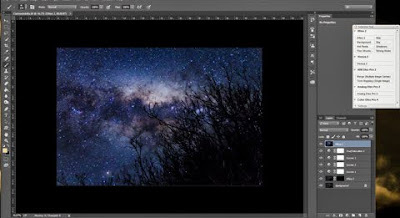 Select the photo in Lightroom then select Photo>Show in Explorer and drag the file into Photoshop CC, which should invoke the RAW editor (in my case using Photoshop CC, Camera Raw 9.5). Alternatively you might want to set up the Photo>Edit In dialogue to open in the RAW editor. In the Editor, reduce Exposure. The aim here is to make the background darker without clipping any data (see the yellow warning arrow above the curves panel top right in the picture below). The amount of exposure you can reduce is a bit of trial and error, but up to '1' is a good start. Set Lens profile and chromatic aberration on. This process produces a 'washed out' but darker base picture which you then edit. Remember, while washed out, so long as you have not truncated data, all the data is still there. Inside Photoshop CC, I then apply a series of curve adjustments (you can do this in Editor, but in Photoshop you can make a series of adjustments on top of adjustments which allows you to gradually get to the result you want, although fine adjustments to curves in Photoshop can be tricky). The goal here is not necessarily to try to duplicate the night sky as seen by an observer. A photograph simply cannot do that. 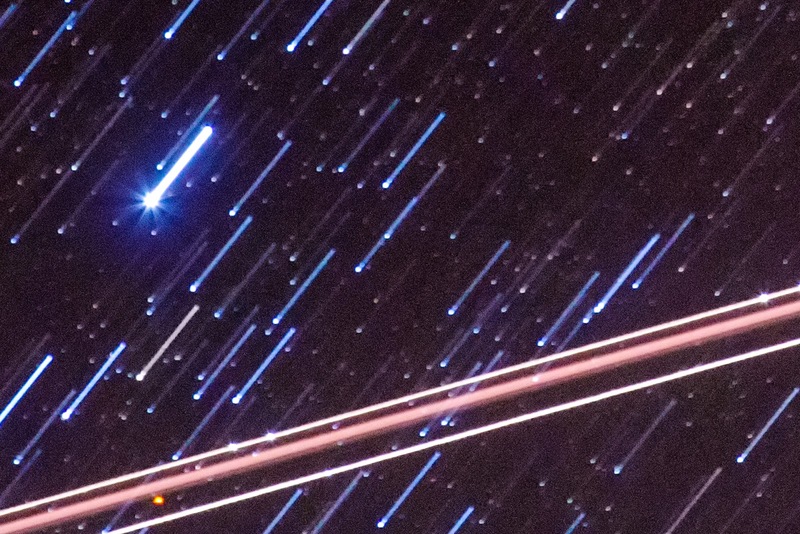 The sky is dynamic: the stars twinkle and the atmosphere constantly warps the sky. Instead, a legitimate goal is to draw out the maximum detail within the sky and remove colour casts. Carrying this to an extreme will produce garish results. Every picture is a little different. The test i use for applying modifications is one of drawing out detail. If a modification would flood and area and remove detail or small stars, i dont do it. if it emphasises a contrast in a dust line, i do. I use a first curve adjustment to establish basic contrasts between the background and the main features such as the star and dust fields. In this picture, shot at very high ISO, I applied far greater correction that you will see on Mr Clark's page. 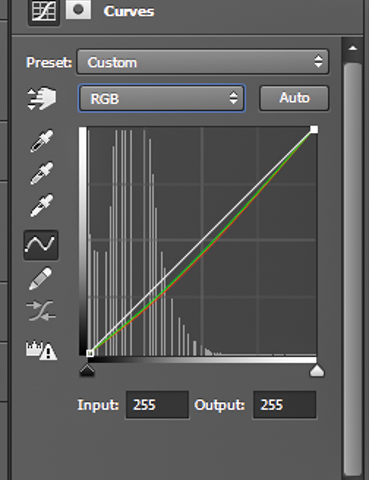 If you have not used curves before take a moment to play around with the interface. 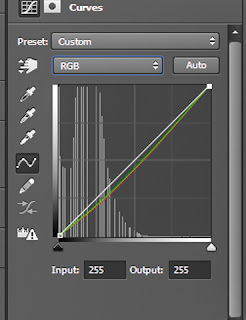 The second curve adjustment (focussing just on red and green channels) removes any red cast (something you may have avoided by shooting at 4800K, as in this picture). Some deep space 'stacked' pics end up with green cast. Here i have left a slight blue cast, something i would not usually do. I broke the rules here for dramatic effect as i wanted to emphasize the willows. This particular original may not have needed any cast removal. I used the last curve to refine the picture, focusing on a couple of the key stars and concentrating on drawing out the browns of the dust clouds..
Mr Clark suggests a saturation (+15) layer at this point. Saturation can give a picture some extra punch, but perhaps this is an individual choice. At this point i save the image (and all the layers) and then in a new file flatten the image. Mr Clark also suggests using an unsharp mask at this point, which produces a nice result. I have been using an alternative to reduce noise (mainly because i am shooting at such high ISO). I use the add-on Dfine 2 (part of the Nik collection that Google has just released for free) to remove noise. Do not use both Dfine 2 and unsharp. Either technique may reduce fine detail at the benefit of a less grainy/more luminescent finish. 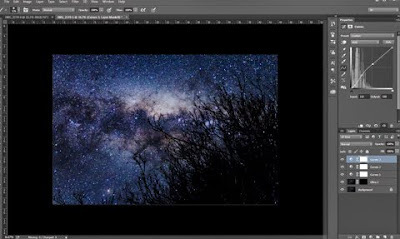 To re-establish some of the fine detail, place a layer of the picture you saved at 20 - 50% opacity back on top. You may also want to use some of the Nik collection tools for hot spots or sharpening.